I’ve come to think that smoothies are what makes the world spin. You can have them sweet, you can have them savory and you can have them fresh, green or full of berry goodness. It only depends on what fruits you like (or greens) and what your tastebuds tell you. 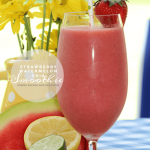 This Strawberry Watermelon Chia Seed Smoothie is slightly tangy, gluten free, and packed with omega 3’s and protein. Who could ask for more? As an after workout treat, after school or sports pick me up, an any time all round good meal substitute for healthy adults. Helps cut Cravings – Sometimes our cravings are the result of our bodies deficit in certain vitamins and minerals. For instance, if you happen to crave cheese or other dairy products (like ice cream) this could indicate low calcium levels. (always consult your doctor) Adding more calcium by consuming it in the form of food is safe, and by weight chia seeds have more calcium than milk…WOW! Stay Fuller for Longer – Chia is the ULTIMATE dieter’s dream. Because of their high fiber content they leave you feeling fuller for longer. When submerged in liquids chia expands (soak your seeds before you eat them or use in a baked recipe) and the fiber comes alive. Smoothies are a great way to use the seeds because of the liquids involved. Chia seed has a nut like flavor when eaten raw and when used in baking, (Chia gel) for most of your favorite recipes you can substitute up to half the butter with chia gel, and the food you bake will taste the same! Fresh and delicious naturally sweet. A perfect breakfast on the run or after school snack. Add the yogurt and the agave. Add the vanilla and chia seeds. Pulse until thoroughly blended and smooth. Pour into tall glass, garnish with a split berry. Let this smoothie sit for a few minutes while the chia seeds work their magic. You can make this smoothie a creamier version, substitute 1/2 cup frozen bannana for the watermelon and drop your yogurt to 1/2 cup and add 1/2 cup unsweetend almond milk. I’ve enjoyed using chia seed in muffins and more as well as this smoothie. Have you used Chia seed? What were your thoughts? Don’t forget to grab a print of this recipe! And let us know about other recipes you’ve tried in the comments! See Where all our favorite Parties are! Here! I didn’t know chia seeds help reduce cravings! I have them and add them to bread and oatmeal and such, I have even tried using them to make my own raspberry jam (so cool!) but now, um, I’m adding them to my smoothies! This looks so yummy! It’s been HOT here today, I’m tempted to turn on my vitamix but I need to run to the store first. Thanks for stopping by! Yes, Chia is one of those ‘super’ foods that has a myriad of properties that are good for our health. I’m one who said, outloud even, who knew? The more I learn, the more I like! That sounds SO good. I love smoothies in the morning because I am not big on breakfast, but smoothies give me the nutrition I need to start the day. This one is so tasty! And of course the chia ads that full feeling and cures the cravings I’ve always had post smoothie. I’m hooked! This sounds delicious. I’ve never had a smoothie with watermelon in it before. Yum! just the slightest watermelon taste (as much as I love it) you could always add more or less.. But its so good! I love strawberry and watermelon! Can’t wait to try out this recipe, because it just looks so yummy! The combo is outstanding! Thanks for dropping by, it really is delish! What a awesome and tasty looking smoothie! Now to get my hands on some Organic Black Chia seeds and Organic Blue Agave and I’d be a set. I seriously had no clue about Chia, thought it was only for pets. Saw people eating and thought what?? But its really yummy and filling and fights those mid morning cravings. I’m in love! I really want to try this. I’ve never actually eaten chia seeds but I am a huge fan of smoothies. I was not a huge fan either. I thought only chia pets used chia seeds (yeah go figure) but they’re actually pretty tasty, add some crunch, stop the mid day cravings and well they are just good! What could be better than strawberry and watermelon?! This sounds yummy and perfect for a hot summer day! Thanks for stopping by! and yes the combo is perfect! I just adore smoothies. And I especially love that you are using Organic Blue Agave for the sweetener too! And it just looks so delicious and refreshing! I have to try this one. It totally is refreshing and the Agave gives just enough sweet without being overpowering. That looks absolutely delish! I’m really wishing I had one right about now. easy to do.. just a few ingredients and a blender! Oh this sounds so refreshing and yummy. I need to get on board with chia seeds… Thanks for sharing. 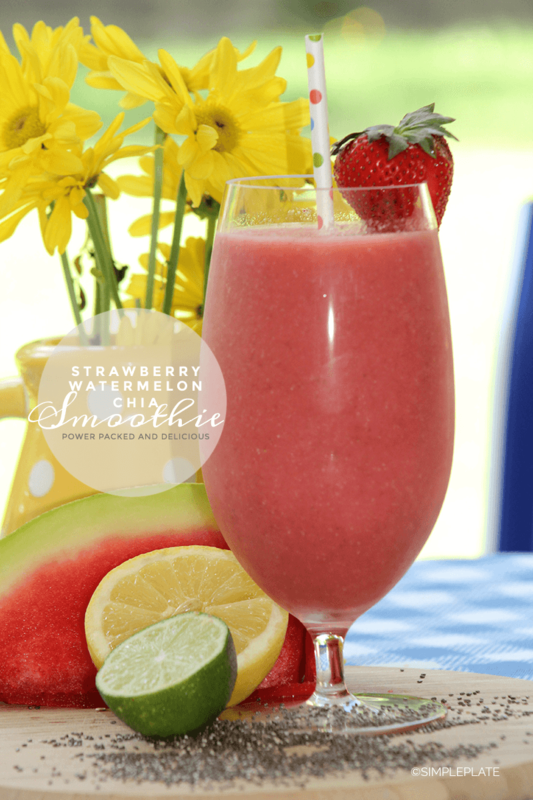 The combo of strawberry and watermelon makes it pop! you’ll love it! 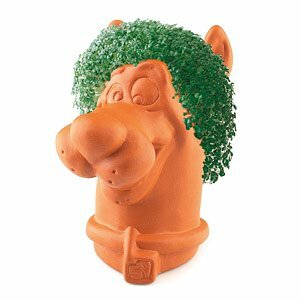 I think of Chia Pets every time someone mentions a chia recipe. ha! This one sounds so good Debbie. I will have to give it a try for sure. I’ve been singing the jingle for days! But this really is good! This looks sooo tasty! I’ve never had a chia seed smoothie before. Honestly, I’d steered away because of well the chia pet thing. But they’re good! kinda nutty and add a little crunch! I’d definitely like to try a smoothie like this. I didn’t knwo chia had those health benefits! Neither did I know about all those benefits! I just thought it was a tree hugger add in. But I was wrong. again! Watermelon is always on this southern girl’s mind! Thanks for dropping by! That sounds yummy! I will have to try it soon! 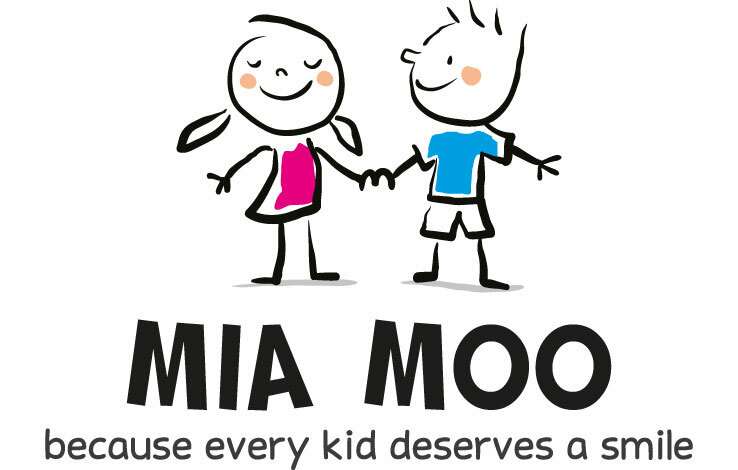 I hope you do and please do let me know what you think! This Strawberry Watermelon Chia Seed Smoothie looks so delicious. I love making smoothies for breakfast. Breakfast, snack anytime I need a quick pick me up. They’re perfect and this one cuts the craving, that mid morning gnaw at the back of your gut! I have not tried Chia seeds yet. This looks like a delicious recipe to try them in. I will have to try this recipe this weekend. I only used them in one other recipe and I decided I really liked them. Let me know if you do try this! This looks amazing! I love watermelon and chia! I’m lovin the combo, and I think I’ll be using them more often! I have been looking for recipes to incorporate chia seeds. This looks so delicious and refreshing . I’ve got another smoothie bowl recipe that incorporates chia seeds. I’m quite taken with them! Ohhh I love smoothies with watermelon. This one looks really refreshing! It’s brisk, just sweet enough without being cloying! Sounds tasty! Thanks for sharing on the Homestead Blog Hop! Thanks for dropping by! Hope you’ll join our party as well! My mind is blown! You mean Chia Seeds are the same thing as from the Chia Pets when I was a kid? WOW!! Seriously! One and the same. Who knew those sprouts were good for ya? NOT ME! I will admit being heistant. But another recipe we worked on called for chia seeds, and well they’re just yummo! This smoothie looks so refreshing! I love putting chia in smoothies! can’t wait to try this! This one is what I would call the perfect smoothie, not too sweet, and takes the edge off that mid-morning hangry! That looks AMAZING and so healthy!!! It is Amazing! Skip the healthy part, it just tastes like Summer! Watermelon is such a wonderful source of fiber. Paired with chia seeds, and you have a really nutritious smoothie drink! I know the properties in this smoothie is amazing, but it also looks absolutely delicious! Double punch! Tasty and Nutritious!